The inaugural Pro Chess League season ended with a resounding victory by the Saint Louis Arch Bishops last year. The Pro Chess League, originally the U.S. Chess League, used to be an online chess tournament where American Chess Teams, from different states and cities, competed for first place. Chess.com, the founder of the Pro Chess League, decided to innovate and expand on this league by inviting players from other cities, countries and continents. The first event was a great success, as teams from all over the world joined to play. There were contestants from cities like Paris, London, New York and, of course, the Chess Capital of the U.S., St. Louis. Surprisingly, the teams from London and Paris didn’t manage to get into the finals. Instead, the final was played between a Norwegian team, the Norway Gnomes, led by none other than reigning World Champion Magnus Carlsen. The Norway Gnomes faced the Saint Louis Arch Bishops in a tough fight. The Saint Louis Arch Bishops, led by St. Louis resident and U.S. Champion Wesley So, triumphed helping the St. Louis Chess Club team become the first champions of the Pro Chess League. The 2017 Saint Louis Arch Bishops. Starting from the left. 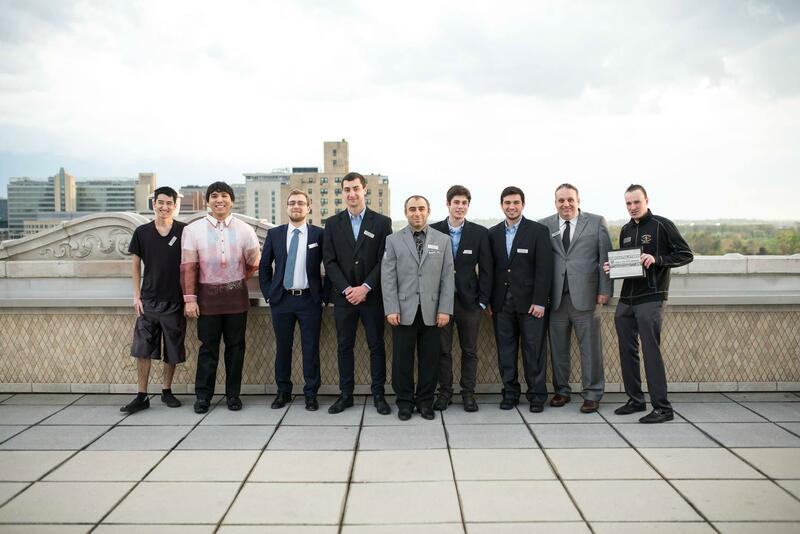 Nicholas Rosenthal, Wesley So Yaroslav Zherebukh, Dariusz Świercz, Varuzhan Akobian, Francesco Rambaldi, Cemil Can Ali Marandi, Ben Finegold, Mike Kummer. This year, the Pro Chess league returns with some new rules and new faces. The time control did not change; players will still get 15 minutes for the whole game, with an extra two-second increment for every move. Matches between two teams take roughly two hours, with 16 total games played. There are some changes though. Every team will post their four-player lineup prior to the start of the match. This change means that there will be no substitutions allowed during game play, so players can’t just sit in for one game; they will have to play all four rounds. After the rules change and league surprises were announced, the league draft was in full swing. The first surprise was FabianoCaruana’s departure from the Montreal Chessbrahs, as he now joins the ranks of the Saint Louis Arch Bishops. In fact, that is not the only recruitment. Mike Kummer, the team manager of the Arch Bishops, also enlisted Annie Wang, the reigning World Under 16 Youth Champion. The St. Louis team is not the only one gearing up for a new and even more combative season: The Montclair Sopranos are now joined by Alex Lenderman, and by Africa’s first ever Elite grand master, Amin Bassem, who just recently crossed the magical rating of 2700. The league grew so much that many more countries joined the action. China and India both have a team representing them at the Pro Chess League this year with players like former world champion Viswanathan Anand in their ranks. The Montreal Chessbrahs, shocked by the loss of their team leader Caruana, did not despair and recruited Hou Yifan, the strongest female player of recent years. The season starts on Jan. 18 and finishes on March 7. This year will feature names like Magnus Carlsen, Fabiano Caruana, Hou Yifan, Viswanathan Anand, Shakhriyar Mamedyarov, Alexey Dreev, Ray Robson, Jeffery Xiong and Sam Sevian. The matches are sure to be exciting and promise to continue to ring in a new wave of chess that can be enjoyed by a universal audience. Schedules, team information and all the action can be found on prochessleague.com. Denes Boros came in third in the Hungarian Junior Championship at the age of 14, and was the U16 Olympic Champion in Denizli. He scored his first grand master norm with 10 out of 11 points. He was a grand master journalist at the 2016 Carlsen-Karjakin World Championship Match in New York. He has provided expert grand master commentary for The New York Times.